The Salming Viper 5 stands for speed, agility and unprecedented stability. The thin sole makes you feel completely in touch with the court. 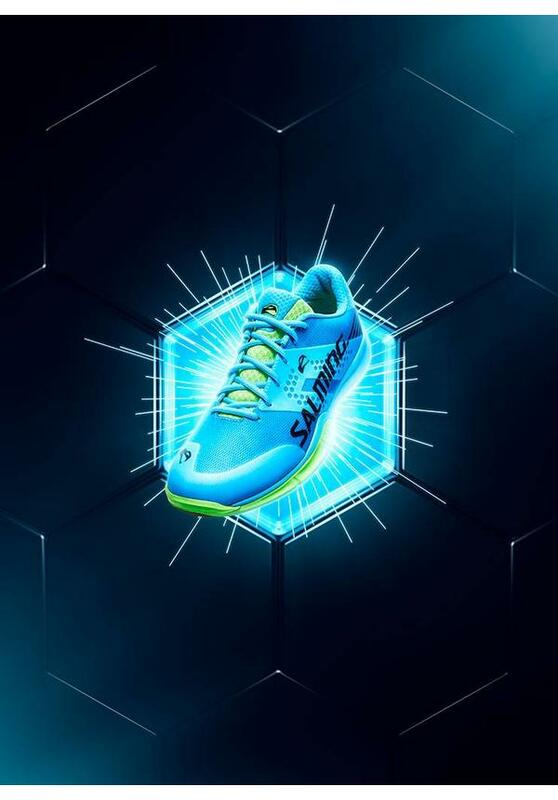 These latest, fifth generation Viper indoor shoes are equipped with the ViperSKIN technology. 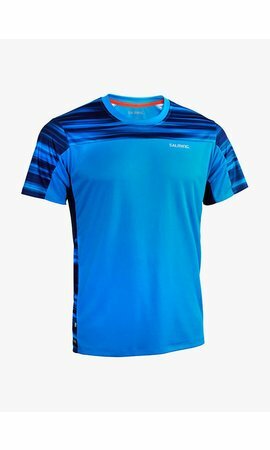 This completely new top, made of a synthetic lightweight material, provides excellent support and stability for your foot. 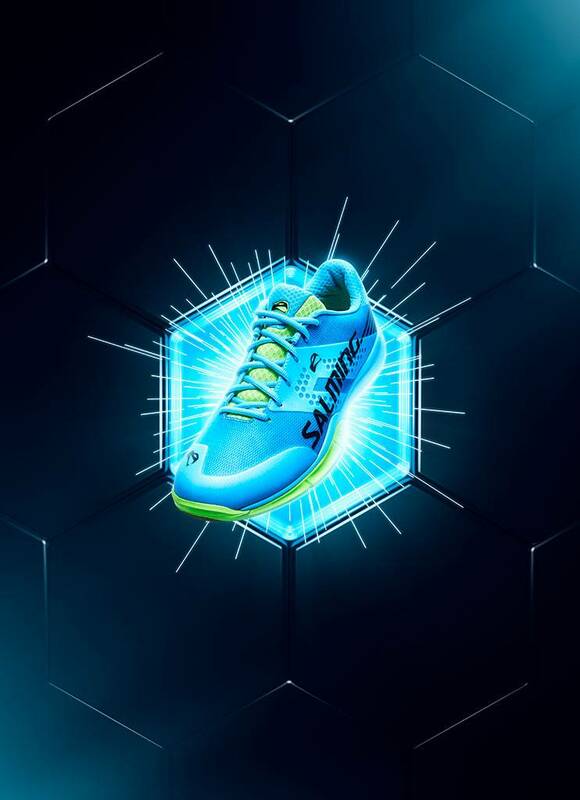 This shoe is so comfortable that it feels almost like a second skin, and it is also breathable so your feet stay cool and dry. Reinforced inserts on the nose prevent the shoe from wearing out too soon. 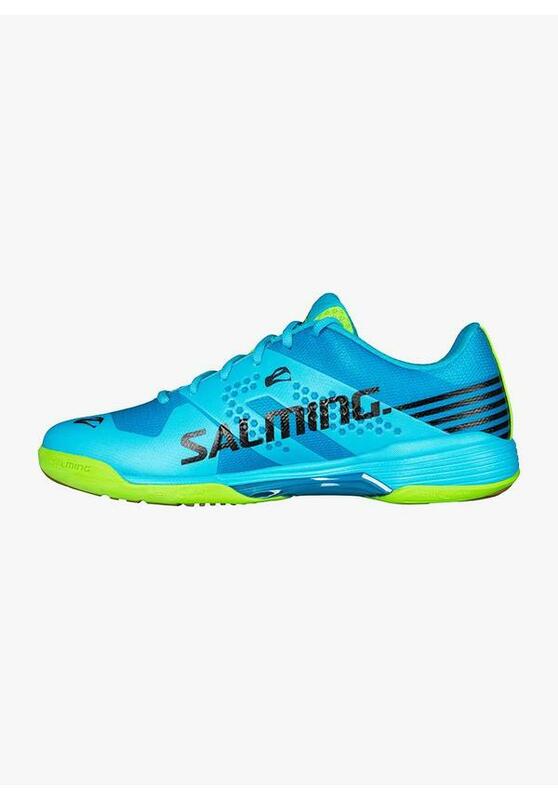 In addition, the Salming Viper 5 features the new RunLite2. 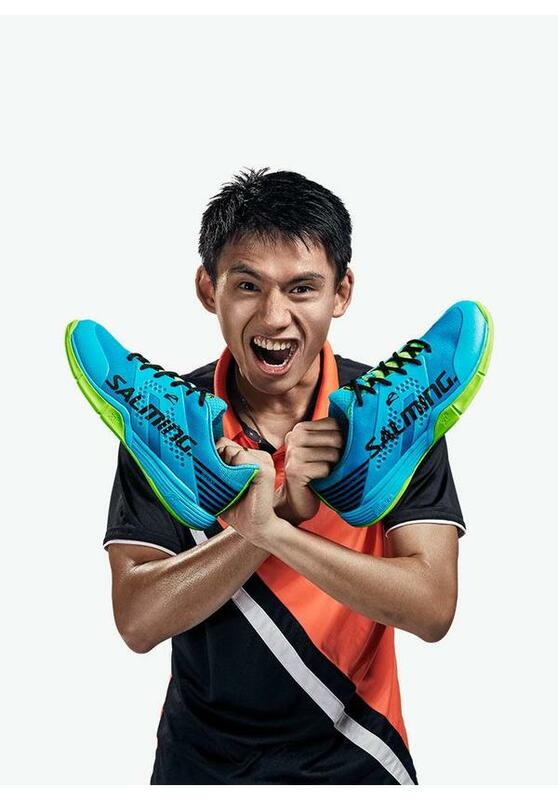 This special foam in the midsole gives you the feeling that you are moving lighter and faster on the court. Of course, all successful technologies that have made the previous Viper models so popular are also present in the Salming Viper 5. 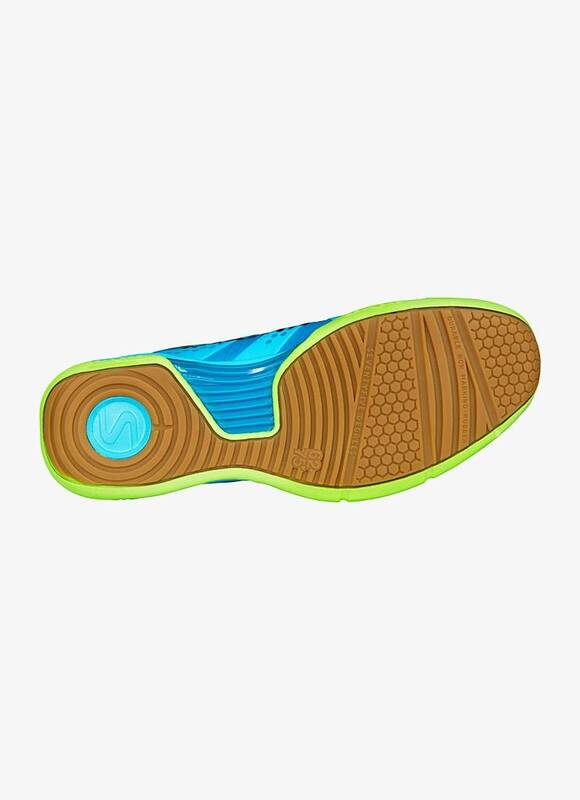 The RollBar is an extra curvature applied on the inside of the outsole and it allows you to move faster around the court. 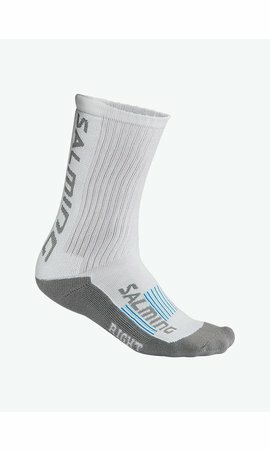 In addition, it ensures a good control of the foot at all times, which reduces the risk of injuries. 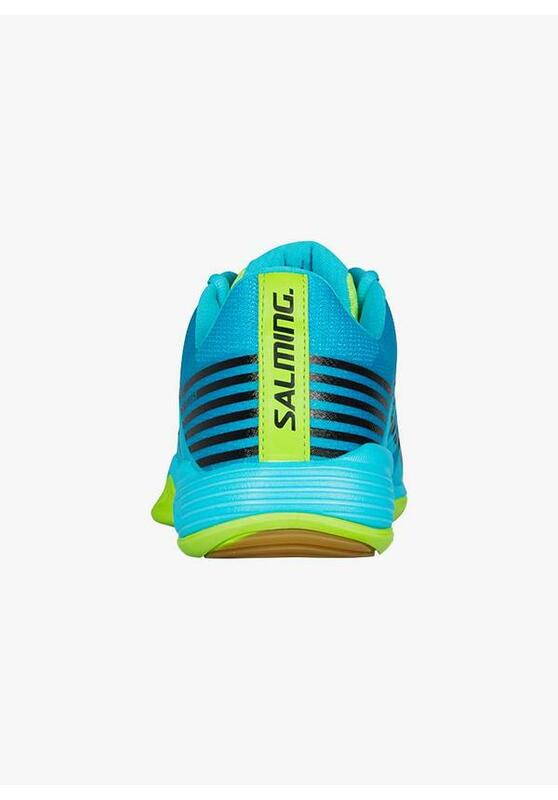 The LMS technology provides extra support for the foot during fast and irregular lateral movements. The Ergo Heelcup has been specially developed to perfectly stabilize the heel and fit it in the shoe. This anatomical heel part is slightly longer than average and provides optimal support. The ergonomic fit ensures optimum wearing comfort. The T.G.S. 62/75 system provides more flexibility to stimulate the natural movements of the foot. At the same time, it softens the stress caused by friction during lateral movements. The shoe bends exactly in the right place and facilitates the natural lateral and forward movements of the foot. 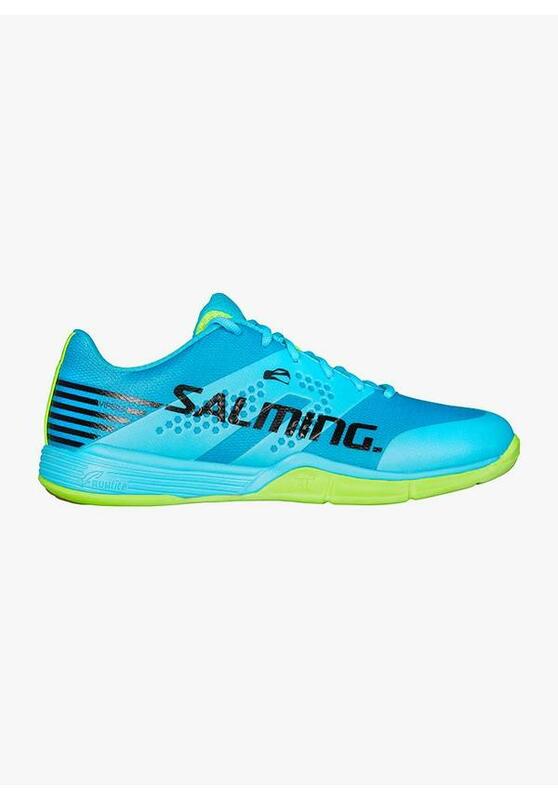 The Salming Viper 5 is a streamlined shoe with a unique design that gives you a sporty and tough look.